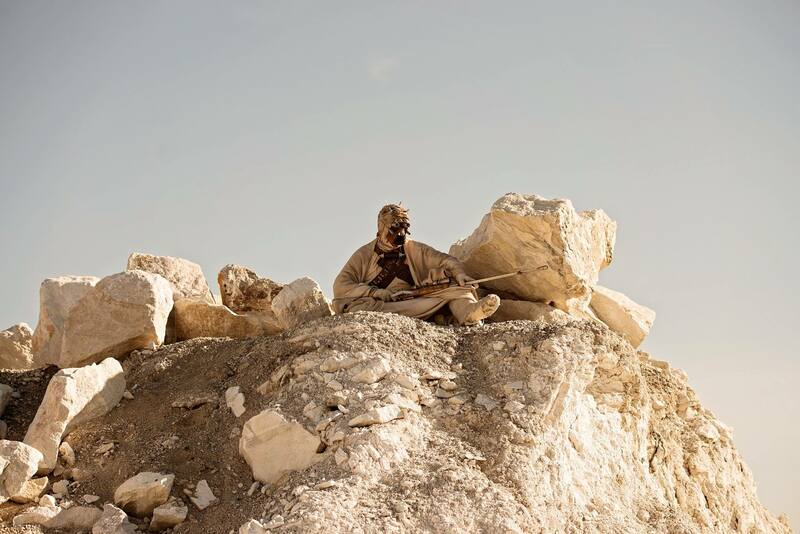 The 501st Legion is an all-volunteer organization formed for the express purpose of bringing together costume enthusiasts under a collective identity within which to operate. The 501st Legion brings these fans together, reinforcing the enduring longevity of the Star Wars saga. 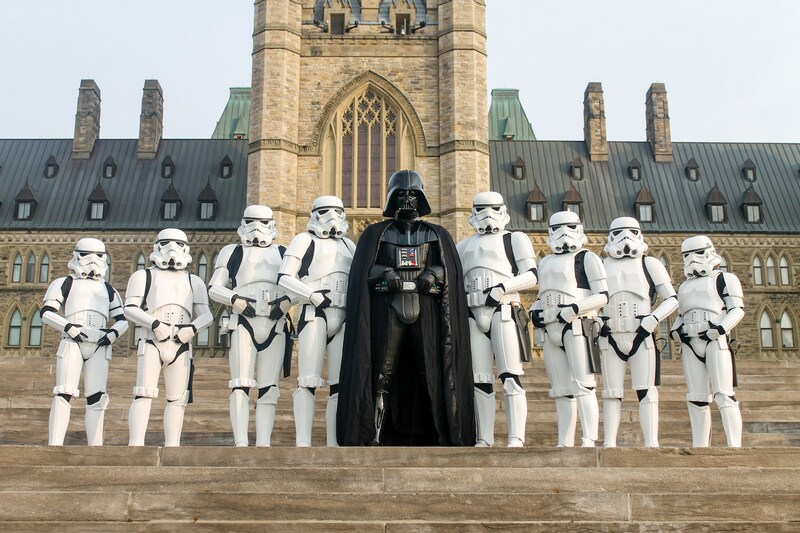 The Legion seeks to promote interest in Star Wars through the building and wearing of quality costumes, and to facilitate the use of these costumes for Star Wars-related events. The 501st is proud to put its resources to good use through fundraising, charity work, and volunteering. 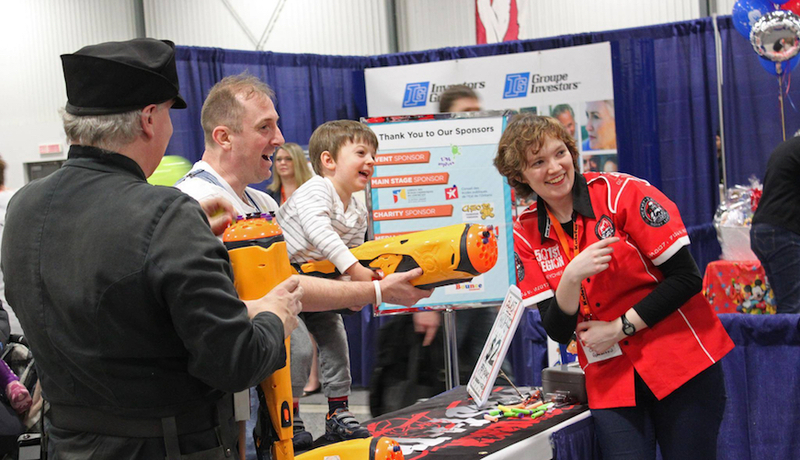 While the 501st was initially founded to unite costumers with a penchant for Star Wars villainy, one of our real-world missions is to bring good to our communities through volunteer charity work. 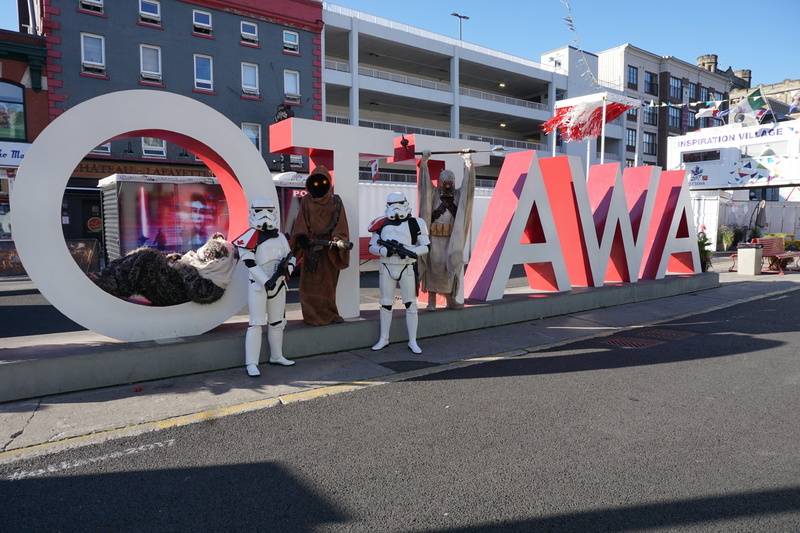 The 501st is always looking for opportunities to brighten the lives of the less fortunate and to bring awareness to positive causes on both a local and global scale. While we do not charge a fee for appearances (public or private), we enthusiastically welcome donations made to a charitable organization in the name of the 501st Legion. If you do not have a charity of choice, please ask the participating local 501st members for their favorite cause. Some of the organizations that we've proudly worked with include: Make A Wish: Eastern Ontario, CHEO, Children's Wish Ontario and many more. 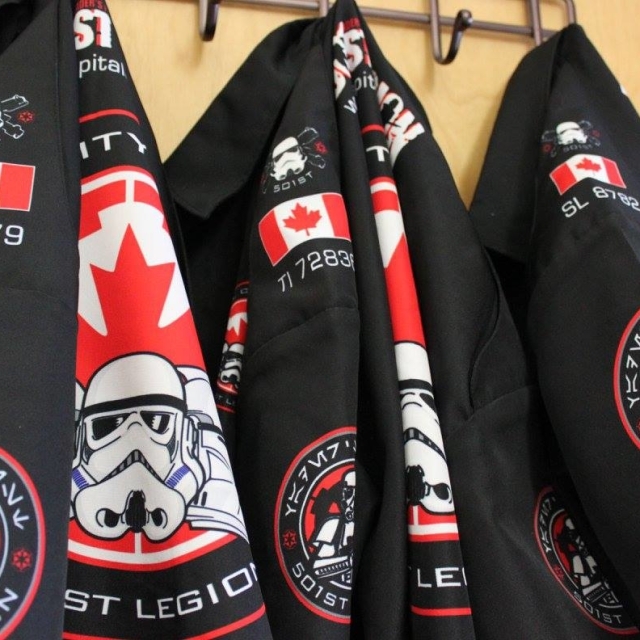 Our membership consists of volunteers, most of whom hold full-time jobs outside of Legion activities. Our ability to satisfy an event request depends on a number of factors including availability of members, location and time of the event, and the significance of the event. Events which directly or indirectly benefit the community and/or charity organizations generally receive a better chance of a 501st appearance than private functions (e.g., birthday parties, weddings). As a general rule, the 501st Legion does not appear at events or functions that are non-Star Wars-related unless coordinated through Lucasfilm Ltd.
Once you have thoroughly read through our introduction and volunteer section, please feel free to submit a request by clicking here. Members must be 18 years of age or older and own a high-quality costume representing any of the characters conforming to our character approval statement. You can find a list of currently recognized costumes in the visual guides section of the site. Generally speaking, our members make their own costumes. To make it easier to get help with your desired project, the 501st has formed detachments focused on particular costumes. Visit our Detachments List to find the right group for you! Once your ready to get started, check out our Join Us page for more information on picking your costume, and where to find more resources. After completing your costume, we strongly recommend that you take some time and read the Trooper Survival Guide. This is the definitive guide to being a 501st member, and should help you get familiar with all the things you need to know. Your time spent with the children brought many smiles to their faces. One boy in particular was so excited by your visit because he was unable to go to comic-con due to his recent hospitalization. Your visit really made a difference to him and to the many other children with whom you interacted. It’s inspiring how the members of the 501st will step up when called upon, no matter how grand or humble the need… This group can be counted upon to do their best. I love the 501st. I think they're great… it's an amazing thing. They need the 501st band… you know, marching band.